This action-packed 8-day tour begins in Nairobi where you spend two full days golfing at the Windsor Golf Hotel. Then head for Lake Naivasha for bird watching and golfing at the Great Rift Valley Course, an 18-hole course where golfers give right of way to wild animals. Finally enjoy two days on safari in Masai Mara National Reserve. Your Kenya golf and safari holiday starts with a day of relaxation as you settle into the luxurious Windsor Golf Hotel & Country Club. The 5-star Windsor Golf Hotel & Country Club is spread across a cluster of impressive Victorian style buildings overlooking a spectacular 18-hole championship golf course. A 16-hour business centre, free internet access in all rooms, free wifi in public areas, jogging track, tennis and squash courts, heated pool are some of the perks of staying at the Windsor. Spend the next two days golfing at Windsor’s spectacular 18-hole championship golf course. Windsor offers a challenging and inviting 18-hole championship golf course. It threads its way through coffee farms and indigenous forests with high and low terrain, giving it character and design quality. The Golf Course boasts lush, springy fairways, fast, true greens and a sprinkling of attractive water hazards with 73 well located sand bunkers and unforgiving roughs. Situated at an altitude of 6000ft, the ball will travel 10 yards further than at sea level. Travel to Lake Naivasha and spot some beautiful birds on a boat ride. Stay at the Great Rift Valley Lodge. From its panoramic perch above Lake Naivasha, the Great Rift Valley Lodge enjoys spectacular views of the sparkling waters of the lake, the jagged volcanic crater of Mount Longonot and, beyond, the sloping shoulders of the Aberdare Mountains. The rooms are spacious with a lounge and fireplace and private balconies. Play a round of golf at your lodge’s 18-hole championship course that’s set on the slopes of a dormant volcano. This 18-hole championship course, at 7,000 feet above sea level, is both challenging and exciting. The course commands stunning vistas of Lake Naivasha, Mount Longonot, the Kinangop Range, and Aberdare Mountains. The course has one the longest holes in Kenya - the par 5 - 17th ‘signature’ at 598 metres (654 yards)! The well-watered golf course has contoured greens built to USGA specs with “tiffgreen” grass. All golf holes are well bunkered, and there are five water features on the course. Golfers give right of way to the wild animals that have taken residence on the lush fairways and tiny islets in the ponds. Flocks of black-headed oriole, Fischer’s lovebirds, and Egyptian geese sun themselves on the greens without batting an eyelid at the players. 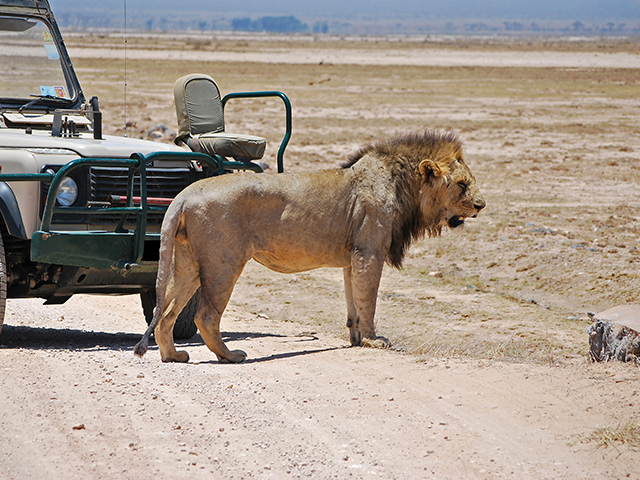 Travel to the world famous Masai Mara National Reserve and go on an afternoon game drive in Masai Mara. Stay at Ashnil Mara Camp. 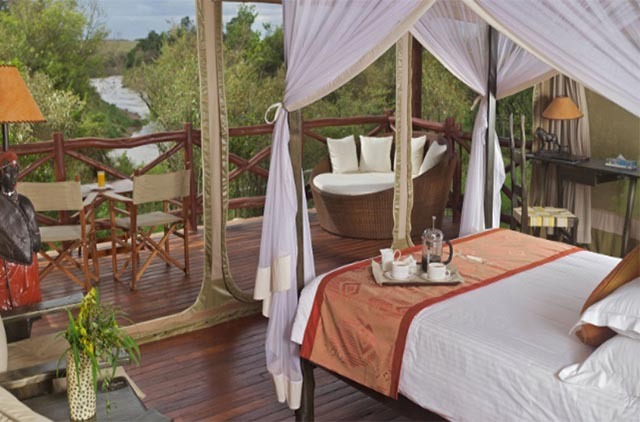 Ashnil Mara Camp is arguably in one of the very best positions in the Masai Mara for game viewing as it is located close to the Mara River. The Camp provides the perfect setting to sit and relax at the end of a exciting day of game drives. Ashnil’s luxury tents have spacious en suite bathrooms, walk-in closets, and a sun deck for relaxation while watching game. Spend the day in Masai Mara on morning and afternoon safaris. 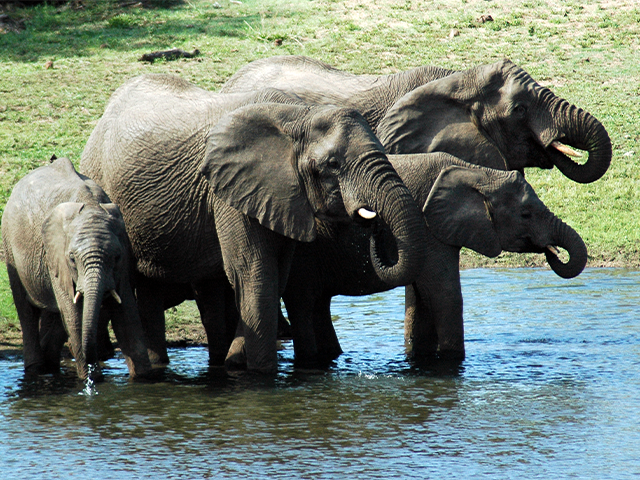 Look for the Big Five here. Masai Mara National Reserve spreads out for about 1,510 sq km. It has the Serengeti Park on the south, the Siria escarpment to the west and Masai pastoral ranches to the north, east and west. It is home to several animals including the Big Five, cheetahs, hippopotamuses, wildebeests, zebras and Thomson's gazelles. The park is a photographer's paradise featuring some of Africa's most unique wildlife and exquisite natural beauty. Travel to Nairobi and have a scrumptious lunch at the meat speciality restaurant, Carnivore. Your Kenya golf and wildlife holiday ends with a transfer to the airport.